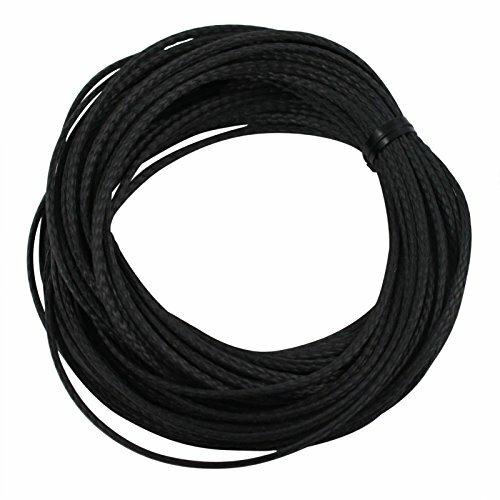 The 25ft Technora Survival Cord by ASR Outdoor is an essential item to bring with you on any outdoor trip! It is essentially the same as the Technora Survival Cord, but woven thicker to make it even stronger. While it is quite thin with a diameter of only .08", it has a breaking strength of 1200 lbs. This cord is made of Technora, which is an abrasion-resistant, low stretch, high strength material. It also has a PTFE (Teflon) coating, which increases the abrasion resistance and adds UV protection. It weighs less than 2 ounces and takes up little space, so it is a must-have for your survival kit! If you have any questions about this product by ASR Outdoor, contact us by completing and submitting the form below. If you are looking for a specif part number, please include it with your message.